The festival of Chanukah is actually the Jewish version of Thanksgiving. While each day we express our appreciation for life’s blessings, Chanukah is the ideal time for the People of Israel to celebrate and say: THANK YOU! Every year at this time, the Jewish people thank God for the awesome miracles of Chanukah that took place over 2000 years ago. For the illuminating light of the Menorah that burned miraculously for 8 days. And for the Maccabees – a small Jewish army that defeated the Greeks against all odds. But what does this have to do with the People of Israel today? Are these ancient miracles relevant in today’s modern world? The mighty Greek Empire sought to destroy every vestige of our faith. They defiled our Holy Temple, rendering it impure and unfit for service. When the Jews regained control, they found a single jug of pure olive oil – enough to keep the Menorah lit for just one night. Why all the Fuss About the Light? Let’s take a step back. The Holy Temple had been defiled and impure for months, if not years. Would eight days less of light really have made a difference? Besides, the Jews restored ALL daily functions of the Holy Temple. So why all the fuss about the light? Now here’s something worth celebrating: A tiny, weak, poorly trained, amateur force defeats the world’s premier military superpower. Yes, this actually happened! That’s big news. Something to really celebrate! It’s true. The real celebration of Chanukah was not about oil. And it was not about light. It was about the awesome victory of the Maccabees over the Greeks. Of a mighty empire “into the hands of the weak”. And a numerous armed force “into the hands of the few”. It’s true. And it’s incredible! The Greeks outnumbered the small Jewish army by a thousand to one. A super-power second to none. They were stronger and better trained. They were a fighting machine. And the Jews had nothing – except for their faith. And Now… Back to the Light! And that’s exactly why the Jews won. The Light of the Menorah is the spark of their soul – that ignited the LIGHT of their faith. Connecting them to the highest Source of Light. They believed in themselves, and in their ability to connect with the One Above, the Protector of Israel. Yes, the real miracles WERE the battles. The battle to defeat a mighty Greek army. And the battle to hold onto our treasured faith. On Chanukah, we celebrate our faith and say ‘thank you’. For the victory of inner strength over weakness. The triumph of faith over fate. And of Light over Darkness. Our precious Israeli soldiers are modern day Maccabees. Surrounded by Arab and Islamic countries, Israel stands alone – a small beacon of democracy in a unfriendly, tyrannic Middle East. As nations threaten to wipe Israel off the map, shootings, stabbings and suicide bombings show the face of Israel’s enemy within. But the Nation of Israel will prevail – and defeat the enemy. Good always triumphs over evil. The light of our faith will emerge from the darkness of death and destruction. Thank you, Thank you – Soldiers of Faith! We salute the brave young soldiers of the IDF. How can we thank you for risking your lives each day – for the sake of your families, communities and Nation. For the sake of the entire world. Your victory is the victory of the few over the many. Of truth over falsehood. Of faith over fate. And of light over darkness. Beloved soldiers, have a very Happy Chanukah! May God bless you and protect you, soldiers of faith! 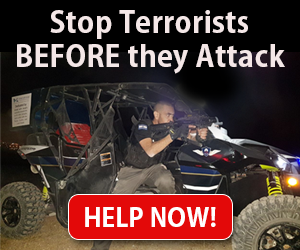 United with Israel is honored to thank the young men and women of the IDF who put their lives on the line to protect and defend the People of Israel. The IDF Chanukah Campaign provides Israeli soldiers with the extra gear that they desperately need to stay warm and healthy throughout the winter. You can also write a personal message of support that will be delivered to the soldiers. 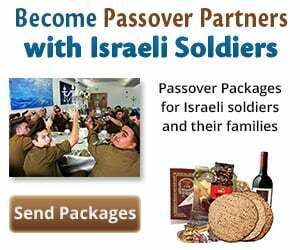 Click here to join us in saying THANK YOU our precious Israeli soldiers!